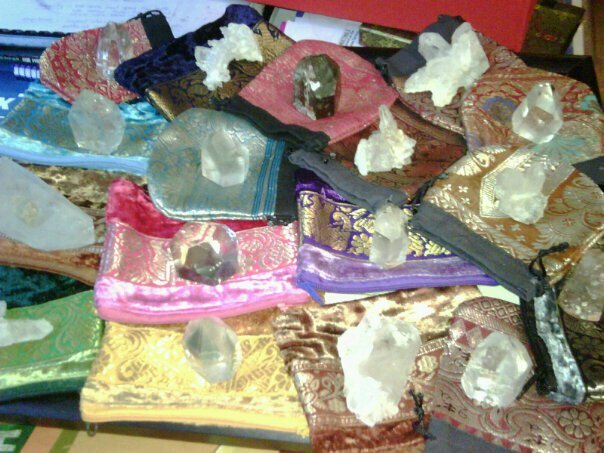 Crystals are wonderful healing tools and metaphysical companions. There are two things I find admirable about crystals. They will take on enormous energetic burdens on our behalf, and they know their limits. Sometimes when a crystal has worked hard it will reach breaking point – the place where it literally cannot take any more. 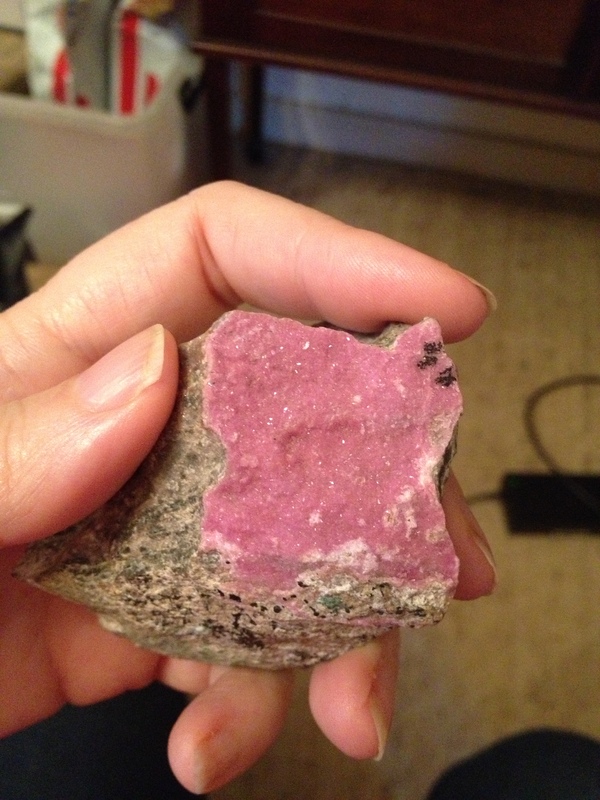 I have had crystals explode in my hand (or not long after putting them down) while doing energetic work for myself or others. Some of my stones have developed internal fractures and cracks so that the stone remains whole but the inner crystal shows flaws. When they heal they often develop a rainbow in that spot. Whenever working stones crack or have had enough, I return them to the earth for a while. Or sometimes, forever. 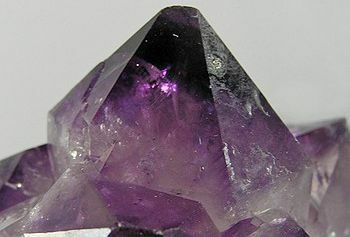 Some crystals will rehabilitate over time and be ready for more work, some will be done for good. It has been a while since I’ve had a stone break, but one broke yesterday while I was using it. As I held my meditation mala in my hands, working on my retreat students, one bead snapped in half between my fingers. It had absorbed a trauma on a student’s behalf, creating a big energetic shift for that person. But that stone had no more to give, and it told me so. A rose quartz butterfly – one wing simply sheared off, with absolutely no pressure from me. Fortunately I’d added an extra bead to the mala, in case such an event occurred. I transferred the intent and positive energy from the broken stone into the spare bead. When I break down the mala at the end of our retreat I shall bury this stone in the beautiful gardens at Sangsurya – our retreat venue. I will thank it for its hard work and sacrifice. I will bless it and let it go back into the earth. Be gentle with yourself right now. Be kind. Choose loving words. Nurture yourself, especially if you’re working hard. Treat yourself as a precious object and fill yourself up with love. We all have limits. It’s important to honour them. 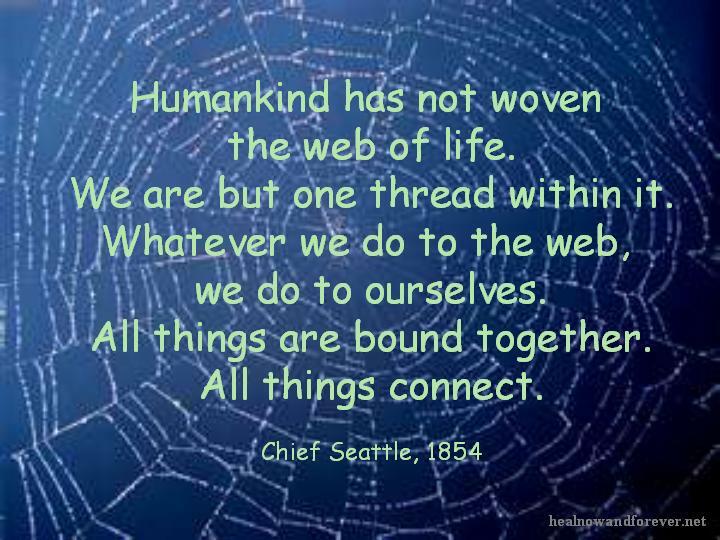 Today’s guided meditation is designed to help you understand and connect to oneness energy, that beautiful space of unity consciousness where we realise that we truly are connected to all things. Let’s just recap on what you’ll need for this guided meditation. 1) The memory of someone you love who is no longer in this world. Choose only one person, and make sure that you feel a strong emotional connection to them. 2) Someone still living, whom you are ready to forgive. 3) A stone or a crystal that feels good in your hands and that has been placed outside on the earth, in the soil of a houseplant, or on a windowsill where it has received natural daylight or moonlight for at least six hours or overnight. .
4) A colour that resonates strongly for you, and that you can use as a visual clue by wearing it something with that colour so you can see it, or even a piece of string or ribbon tied around your wrist or a flower in a vase in front of you. You’ll need to set aside half an hour for this meditation. Sit or lie somewhere quietly, using pillows or blankets if needed to make yourself comfortable. Then simply close your eyes and follow the sound of my voice. It’s fine to let yourself fall asleep during the meditation, or immediately afterwards. This meditation is really useful to get you into a good headspace for working with intention, and for working with forgiveness and love. It is soothing, energising and helps open us up to our authentic selves. 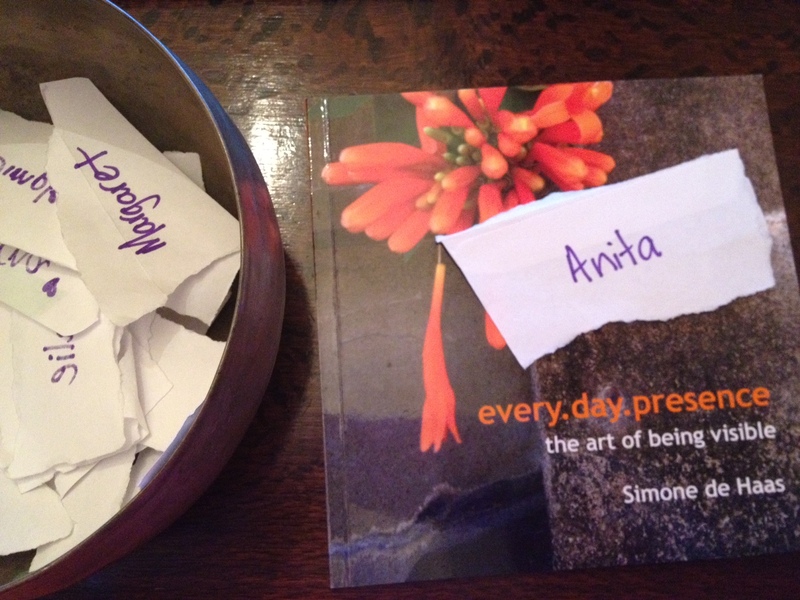 Getting Ready for Tomorrow’s Meditation! A few weeks ago I started a series of seven weekly guided meditations, and tomorrow I shall bring you number six! 1) Think about someone you love who is no longer in this world. Choose only one person, and make sure that you feel a strong emotional connection to them. 2) Think of someone still living, whom you are ready to forgive. 3) Choose a stone or a crystal that feels good in your hands. Place it outside on the earth, rest it in the soil of a houseplant, or place it on a windowsill where it will get natural daylight and moonlight for at least six hours or overnight. Retrieve it tomorrow before we start the guided meditation. 4) Choose a colour that resonates strongly for you, and that you can use as a visual clue tomorrow by wearing it as a scarf, clothing, a piece of jewellery, socks, a shawl or wrap. 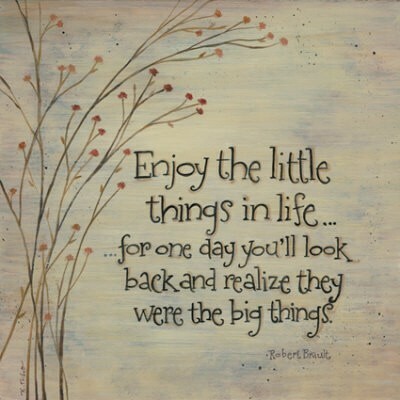 It could even be a piece of string or ribbon tied around your wrist or a flower in a vase in front of you. I sat down to do a meditation yesterday afternoon using a crystal that’s recently been given to me by a friend (thanks, Lachlan!). It’s a drusy Cobalto Calcite with an extra little dusting of drusy Malachite on the reverse – a pretty thing, and comforting to hold. 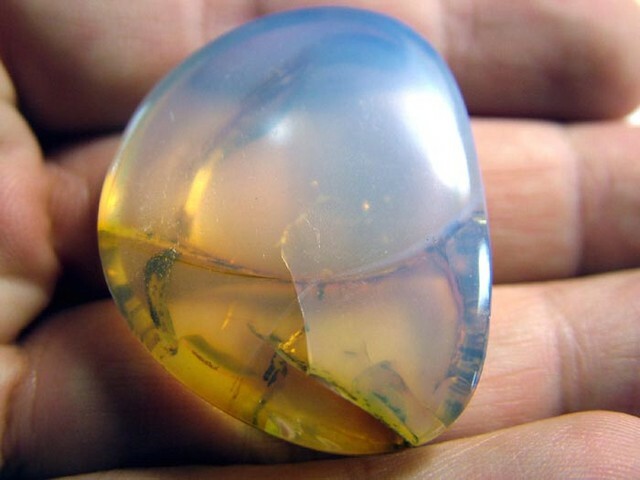 This stone is excellent for all heart-related work, including work with physical ailments of the heart, emotional healing, love and relationships. Settling down on my Kundalini Beanie (a fantastic meditation chair created by another beautiful friend, Angela Toohey), and holding my rock, I quickly moved into a deep state of relaxation and then meditation. 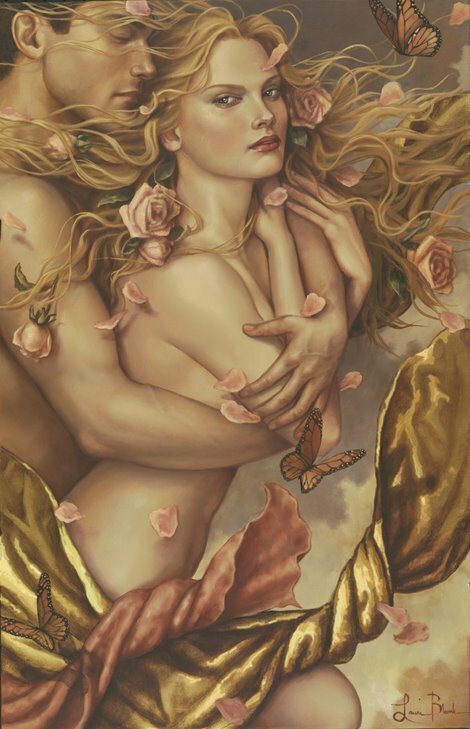 I was in that lovely heart space of connection for about twenty minutes when I heard a very clear, sweet soft voice. Was I imagining it? I sat in meditation. Nothing. I opened my eyes and looked around the room. Nothing. Back I went into meditation. Okay. I wasn’t imaging it. I couldn’t see anything, but I started to get a lovely warm feeling like I was floating in a golden ocean. I have a client named *Janie Edwards. *Note – I’ve changed the names here to protect the privacy of the people involved. No more words followed. Instead I was filled with understanding. Somehow Janie was pregnant and losing her baby. In fact, I sensed that the baby had already died. Abruptly I came out of meditation still clutching the crystal which was now hot in my hands. I didn’t quite understand all I’d been shown, but I immediately went to my computer and found Janie’s contact details. She was someone I hadn’t spoken to for nearly ten years. Her home phone no longer worked but her mobile did. I called her and after general niceties, and her shock at my unexpected phone call, I asked if she could be pregnant. No, she said a little angrily. She and her husband had been through twelve rounds of IVF, and gave up over a year ago. At forty five she was in peri-menopause and now too old. Oh my goodness, I felt bad for her in that moment. “Are you sure you couldn’t be pregnant?” I asked her again. “I do have some lower back pain,” she said hestitantly. It turns out she’d had back pain and pelvic cramping for a few days. It took some convincing, but she promised to call her doctor right away. I didn’t hear anything back until much later last night. Janie’s husband *Peter called me. Janie was in hospital and doing fine. 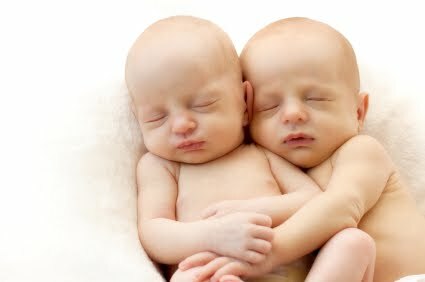 She is nearly six months pregnant with twin girls, conceived naturally, and one had died in utero. The doctors operated to remove the dead infant and the other little girl is still in the uterus and doing fine. They expect that Janie will now resume a normal pregnancy, although of course, they’ll be keeping a close eye on her. I explained what had happened that led me to call Janie, and passed on to Peter the message that their unborn child had given me, about having been together before, loving them all, and staying to look after her sister. It was a very emotional call. Love. It’s an amazing thing, isn’t it? I am so grateful that I am able to be a messenger for others. It humbles me and awes me both. PS – If you’re interested in those nifty meditation chairs I mentioned at the beginning of this post, you can contact Angela directly though her website for more information, and to see the cool video that explains how they work. Can you use crystals to manifest love in your life? I’m going to show you two ways today of calling in love. The first is very easy and conventional. The second feels amazing, and is much more ‘witchy’. They both work well, so choose the method that most resonates with you. Clear Quartz – The perfect stone for Soul Mates and Life Partners. It can also be used for any other love purpose too. A great all-rounder. It doesn’t matter if it’s a tumbled stone, a point, a shape, or a cluster. Go with what feels right for you! 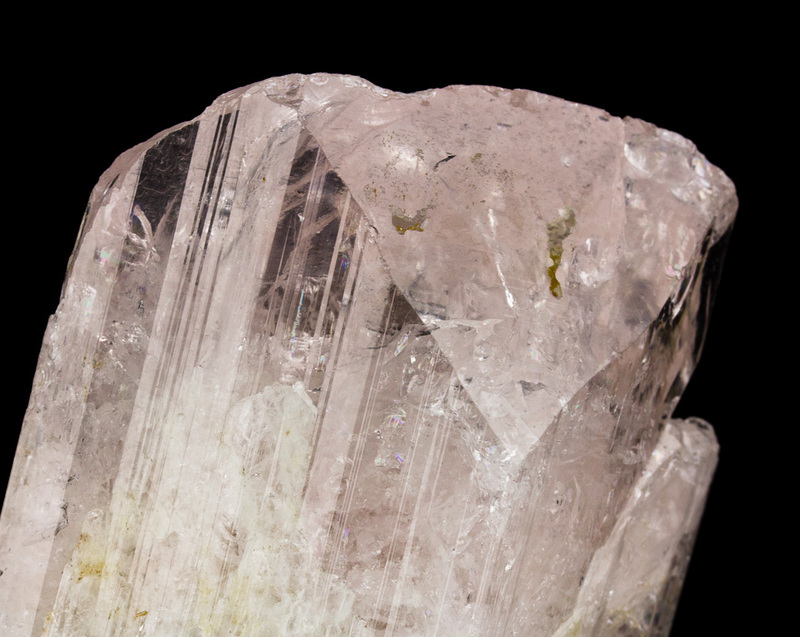 Danburite – This is one of the scrummiest stones I know for fertility and babies. 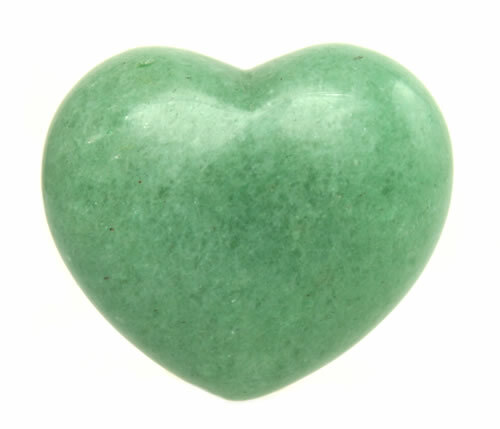 Green Aventurine – The best crystal for attracting real and lasting friendship into your life. Green Aventurine literally sparkles with that joyous energy of heart expansion. 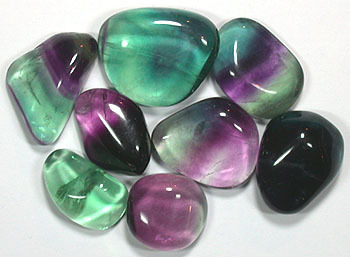 Fluorite – my favourite stone for calling in creative ideas that I will adore. Terrific for writers, musicians, artists and other creative types, or for folks who are looking for some artistic pathway to fall in love with. 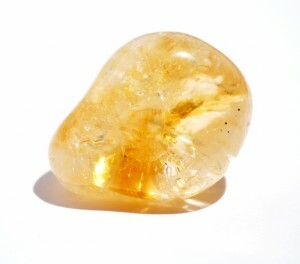 Citrine – Use this stone for calling in your dream job, your perfect project, a career path that you will LOVE. Great for finding your direction when you’re unclear. 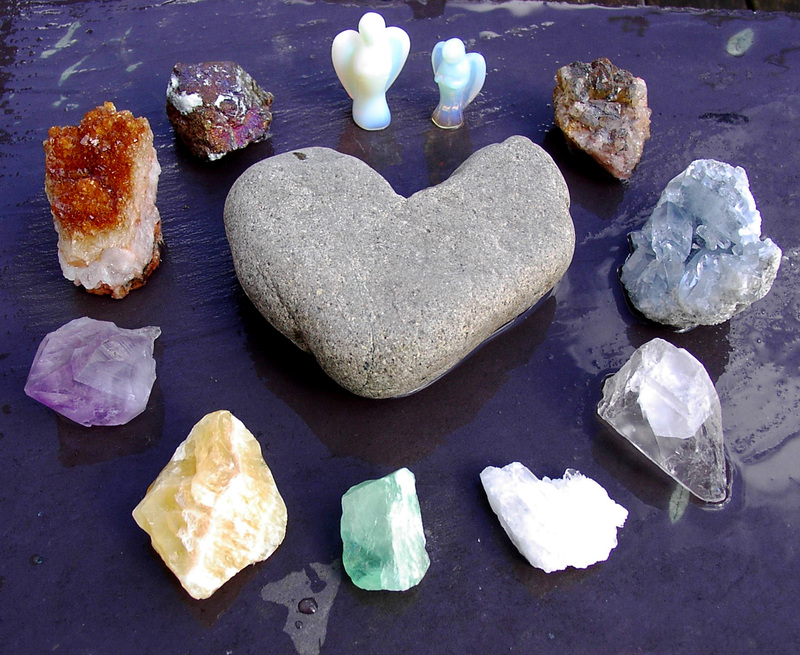 You can actually choose ANY crystal that calls to you, when you’re choosing something to bring love into your life. 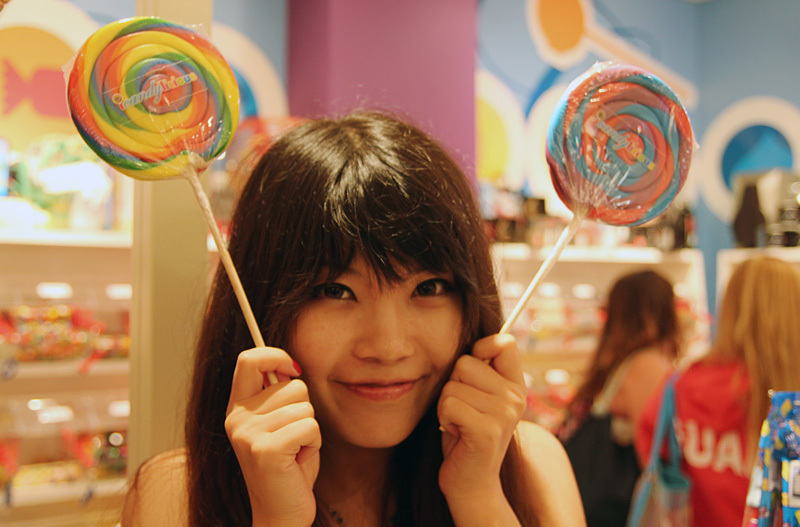 The most important thing is that you FEEL drawn to and happy with your choice. I have been known to walk into a crystal shop, absently pick up a rock without realising, and then find it still clutched in my hand as I am leaving. Sometimes I have not been visually attracted to the stone, but I knew I had to have it. It became un-put-down-able… Those sorts of stones are just fine too! Now, let’s work with our chosen stone. 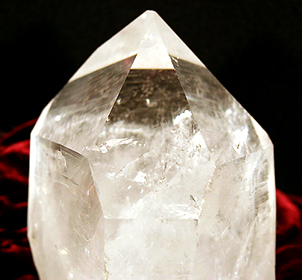 Take your crystal in one hand (left for men, right for women) and hold it up in front of your heart. 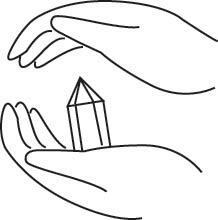 Place your other hand just above the crystal, so that it is cupped between the energy of your two hands. Pour energy and light into your stone, and then set the clear intent of what you want. You don’t need words. 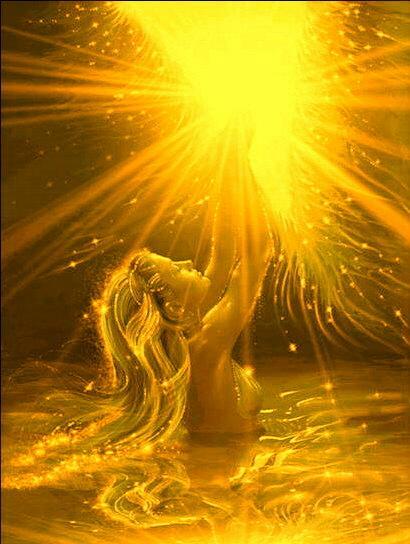 Just FEEL the energy of a new love, a new baby, a new job, whatever it is that you are seeking to call to you. Intensify that energy as you pour it into the stone. Say aloud, or strongly in your head I call you to me now. I call you to my heart. Thank you. Finish by closing both hands over the stone and offering up a prayer or words of gratitude to the Universe. Now that your stone is programmed you can keep it on you, or place it by your bed, desk or on your windowsill. Follow Method One first! Then take your programmed crystal and go outside. Find a spot to lie down on the earth. Lie right down on the ground so that you are facing the sky. 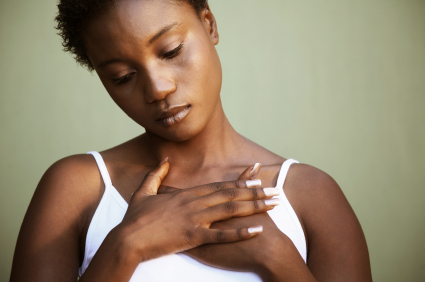 You can choose to hold your crystal in your hand, or place it on your chest, over your heart. Close your eyes, and feel a deep connection into the earth. 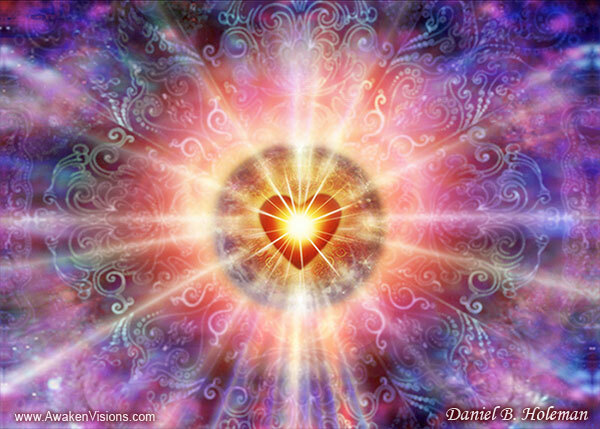 Offer up a prayer of thanks, affirming that you now draw this love into your life. Feel your heart begin to spin. When the energy is strong, imagine an energy like a tornado rising out of your heart. 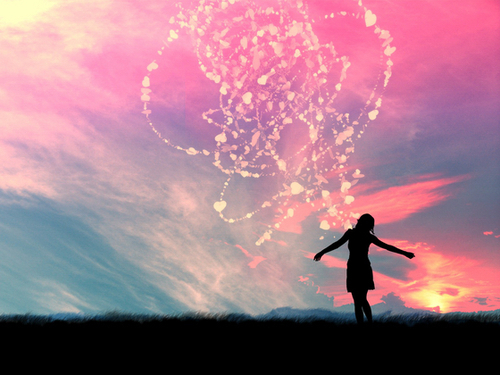 Feel your body strongly connected into the earth, while the energy from your heart soars out into the universe like a swirling, spiralling storm. Let your heart energy roam until it connects into something. You won’t get a name or a face – you’ll just get a feeling. Say with strong intention I welcome you into my life now. Thank you. Pull that feeling of connection back into your heart, and then allow your awareness to settle back into your chest. Become aware of the earth beneath you as you come back into your body. Take a moment or two and relax before you stand up again.